Planning and providing small group, specialized instruction in a range of areas, including reading, writing, and math. Please note that reading services will include systematic instruction in decoding. Working with general education teachers to ensure appropriate accommodations and modifications are provided in the general education setting. Working directly with students in the general education setting. Conducting academic testing for initial evaluations and reevaluations. Writing IEPs (for annual reviews, initial evaluations and reevaluations). Presenting evaluation reports and findings in IEP meetings. Writing and presenting progress reports. Licensure in mild/moderate special needs required. 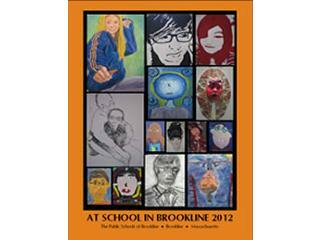 The Public Schools of Brookline is especially interested in qualified candidates who can contribute through their teaching or practice to the diversity and excellence of the PSB community. Welcome to Public Schools of Brookline! Brookline Public Schools is committed to maintaining a work and learning environment free from discrimination on the basis of race, color, religion, national origin, pregnancy, gender identity, sexual orientation, marital/civil union status, ancestry, place of birth, age, citizenship status, veteran status, political affiliation, genetic information or disability, as defined and required by state and federal laws. Additionally, we prohibit retaliation against individuals who oppose such discrimination and harassment or who participate in an equal opportunity investigation.